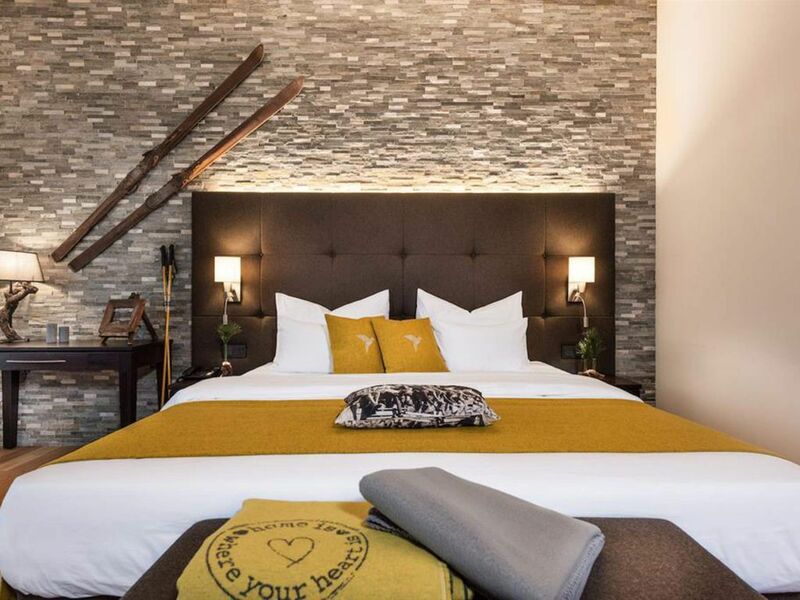 Our cozy double rooms Nordkette offer a magnificent view of the Innsbruck Nordkette. Room facilities: a large double bed. Balcony, Telephone, Satellite Channels, Flat-screen TV, Safety Deposit Box, Desk, Wardrobe / Closet, Shower, Hairdryer, Bathrobe, Free toiletries, Toilet, Bathroom, Minibar. Free Wi-Fi is available in all rooms. The 4-star hotel with a total of 90 beds and 46 rooms offers a spa area and a restaurant with panoramic views of the Nordkette mountain range. The breakfast buffet includes local specialties as well as organic products. A snack buffet is available every afternoon and in the evening you can enjoy a 4-course gourmet dinner. The hotel also has a bar. Various massages and treatments are available, including traditional Chinese medicine.